Set of 2 - The BOMMA Dots 1.35 oz. 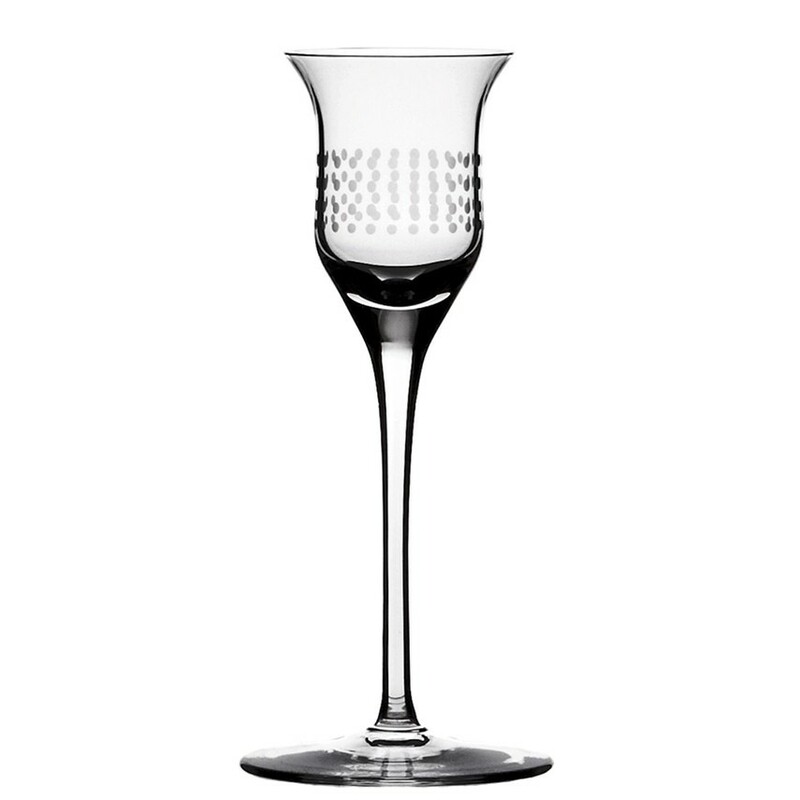 liqueur glass lets you simultaneously appreciate fine design and fine brandy. 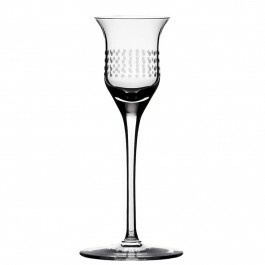 The Dots collection was created as a drinking set with a technologically simple and logical space for decorating. In the middle of the drinking vessel, designer Olgoj Chorchoj placed a cylindrical body to serve as the ideal gallery for ornamental decor. Combined with Bomma's motto of "technology through an ornament", Chorchoj applied a number of elementary dot and dash machine interventions.